When Holiday in the Sun was released in 2001, it became the birth of a new actress, Megan Fox, who was before then a dancer and model. Close to two decades later, Fox still remains relevant in the scheme of things with more than thirty movies and TV shows to her name. One of her most popular appearances as an actress is in Transformers where she appeared as Mikaela Banes. It was on May 16, 1986, that the actress was born in Rockwood, Tennessee, as Megan Denise Fox to Franklin Thomas Fox who was a parole officer and Gloria Darlene Fox. When she was three, her parents divorced and so she moved with her mother who later remarried Tony Tonachio. Of Scottish, German, and Scots-Irish descent, she was partly brought up in Tennessee together with her sister Kristi Branim Fox until around 10 when her family moved to Florida. As a girl of only 5, she enrolled in dancing and singing classes. Three years after the family moved, Megan added modeling to her singing and dancing classes. She had her earliest education from Kingston Elementary School in Tennesee and then in 2002, she went to Morningside Academy, Florida which was a Christian school. According to her, she was bullied when she was in school because she happened to get along with boys more than she did with girls and there were some who did not like it, making her a target. Also, she revealed that she has ADHD and OCD which contributed to making other girls to reject her due to her hyperactivity. At the age of 13, Fox won a number of awards at the 1999 American Modeling and Talent Convention in South Carolina. This was the start of her modeling career. Before too long, she moved to Los Angeles even before she was 18 to pursue an acting career. In 2001, Fox got her first role as an actress when she appeared in the film, Holiday in the Sun and in 2003, she got an uncredited role in Bad Boys II. Her next movie came in 2004 when she appeared as Carla Santini in Confessions of a Teenage Drama Queen. Her biggest movie came in 2007 when she got the role of Mikaela Banes in Transformers, a role that she would play again in Transformers: Revenge of the Fallen in 2009. On TV, she made her debut in Ocean Ave as Ione Starr from 2002 to 2003. After that, she made an appearance in an episode of What I Like About You (2003) and then Two and a Half Men (2004). From 2004 to 2006, she was given the main role of Sydney Shanowski in Hope & Faith, and from 2016 to 2017, she got the recurring role of Reagan Lucas in the American television sitcom, New Girl. Less than 20 years into her career as an actress, the Transformer star has achieved a lot and has been recognized with various awards including the Golden Schmoes Awards which she got in 2007 for Transformers, Scream Awards for Transformers: Revenge of the Fallen, and Teen Choice Awards for her different works. Fox is a very beautiful woman who was named one of the 100 Sexiest Women in 2006 by FHM magazine and in 2007, she was ranked 18 on the Hot 100 Women list of Maxim magazine. She was also ranked by the two magazines in 2008. That said, she has not dated many men in the past. The first person she was known to have publicly dated was Ben Leahy earlier in her career from 2000 to 2003. Her next boyfriend whom she dated from 2003 to 2004 was David Gallagher after which she got into another relationship with Brian Austin Green. Although they were engaged in 2006, it was called off in 2009 when they parted ways. In 2010, the actress and Brian Austin Green got engaged again, even though Fox insisted they had been engaged since 2006. By the 24th June 2010, the couple tied the knot on the Hawaiian Island, Maui. 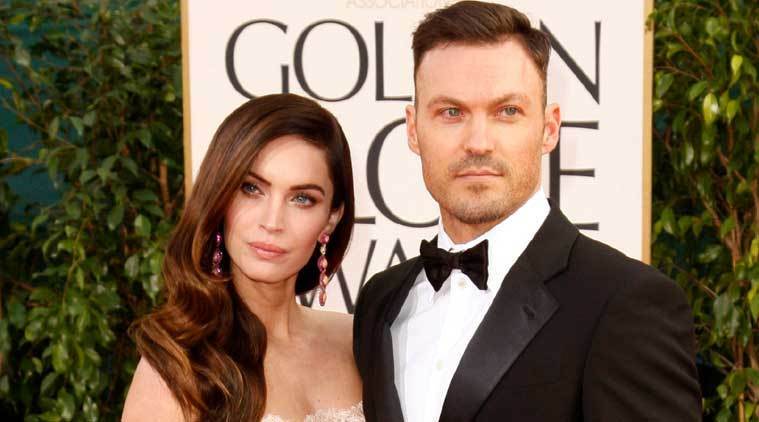 Five years into their marriage, Megan Fox and her husband announced their separation in 2015 as the actress filed for divorce. However, they were back together in 2016. Their union has been blessed with three children; Noah Shannon Green, Bodhi Ransom Green, and Journey River Green. Green has a son, Kassius from a previous relationship. Since starting her career in 2001, Megan Fox has remained very consistent with each passing year. She has appeared in everything from TV to movies, and video games to music videos. Thanks to all these as well as her modeling career, Fox has a net worth that is estimated at $8 million. After dating for a long time, Elisha Cuthbert and her boyfriend tied the knot in 2013. More than five years later, which is now almost an eternity in celebrity marriages, the couple seems to be holding things together and strong. For those who do not know, Elisha Cuthbert is a Canadian model and actress who began her modeling career when she was just 9. She first became famous in 2001 when she appeared in the hit series 24 as Kim Bauer and then in the 2004 comedy film The Girl Next Door. On his part, Dion Phaneuf is a Canadian professional ice hockey who plays for in the National Hockey League (NHL) for the Los Angeles Kings as well as for the Canadian national hockey team. Although it was in 2013 that the couple became man and wife, they have been together since May 2008 when they first met. By 2012, their engagement was first announced by a Prince Edward Island restaurant on its Facebook page. According to the restaurant, the Toronto Maple Leafs captain who was 27 at the time and his then-28 years old actress girlfriend celebrated the engagement at the restaurant. The engagement was in September of that year before they went on to announce it at the New Glasgow Lobster Suppers restaurant to their friends and family who came to celebrate with them. Soon afterward, the actress also took to her Twitter to announce that she was happily engaged. Although she had once called off am engagement only a few years prior to meeting Dion, this time around it was for real as on July 6, 2013, the beautiful couple became husband and wife at a ceremony that held at St. James Catholic Church in Summerfield. It was a very elaborate ceremony which had many people including family members and friends of the couple in attendance. According to Rev. Paul Egan, who officiated the ceremony, he had been officiating wedding ceremonies for 46 years, but that was the biggest he had seen, as far as celebrity weddings were concerned. After the exchange of vows, the reception which saw over 300 guests held at the at a large waterfront estate which belonged to the hockey player. It was subsequently followed by fireworks. Elisha Cuthbert and Dion Phaneuf have thus far been blessed with a daughter, Zaphire, who was born on December 21, 2017. The news of the arrival of the couple’s first child was made on the Twitter feed of Ottawa Senators. The beautiful couple now lives in Toronto Canada with their daughter as Dion continues to play the sport that has made him famous while Elisha continues with her career as an actress. They do not fail to share the pictures of each other on their social media. Together as a couple, they have a net worth that is estimated at $24 million. The actress has a net worth of $20 million and her husband is worth $4 million. While Dion Phaneuf remains the first man the Canadian actress has ever been married to, he is not the first man in her life. In 2002, American actor Andrew Keegan became the first man publicly known to have dated her until 2003. From 2003 to 2005, she dated American fashion designer, Trace Ayala whom she got engaged to for a year before calling it quits and then hockey player Sean Avery from 2005 to 2007. It is widely believed that Justin Timberlake’s What Goes Around Comes Around was about the actress who cheated on Ayala, his best friend, with Avery. After her relationship with Avery ended, Elisha dated yet another hockey player Mike Komisarek and then American professional snowboarder briefly before finally meeting the man that later became her husband. After news of her relationship with Phaneuf came to light in 2008, her former lover Avery who claimed it was love at first sight for him and the actress threw shade at her and her newly found love. The then-Dallas Stars forward while making reference to Elisha and Phaneuf said it had become normal for guys in the NHL to fall in love with his “Sloppy Seconds”. The comment attracted strong criticisms against Avery and he was subsequently slammed with a 6-match ban without pay by the National Hockey League. On his part, Dion has not dated many women in the past. In fact, the only woman he was publicly known with was the same woman he ended up marrying, Elisha Cuthbert. With all the years that have gone by, it is quite easy to forget that David and Victoria Beckham have not always been together. The pair began as just another couple with each powerful in his and her own sphere, only to turn into a phenomenon among other celebrity couples. With each year that passes, more rumors emerge that the titanic marriage of the power couple is about to hit the iceberg, but they always come out more beautiful and stronger. Recently, the couple was forced to take to social media to dispel the rumors that keep swirling about their marriage. Almost a year before David Beckham was born on 2 May 1975 in London, the United Kingdom, somewhere in Heathrow, United Kingdom, Victoria Caroline Beckham was born on 17 April 1974. David was brought up alongside two sisters, Lynne Georgina and Joanne Louise by their parents- avid Edward Alan Beckham who was a kitchen fitter and Sandra Georgina, a hairdresser. He began playing football since he was very little in Ridgeway Park, Chingford and when he went to Chase Lane Primary School, whenever he was asked what he wanted becoming, all he had ever thought of was to become a footballer. He later attended Chingford County High School. With parents who were strong supporters of Manchester United, Beckham played for Ridgeway Rovers which was a local youth club from 1985 to 1987. Between 1987 and 1993, he played for the youth teams of Tottenham Hotspur, Brimsdown Rovers, and Manchester United for which he started his professional career in 1993. He played for the Red Devils until 2003 when he moved to Real Madrid and then in 2007 he moved to LA Galaxy before finally moving to Paris Saint-Germain in 2013. He also played for England at the Under-18 and Under-21 levels before being called to play for the Three Lions from 1996 to 2009. On her part, Victoria Beckham who was born Victoria Caroline Adams was brought together with her siblings Louise and Christian Adams. Her parents are Anthony William Adams and Jacqueline Doreen, while his father was an engineer, his mother was an insurance clerk and hairdresser. She decided she was going to have a career in music in 1980 after watching a musical film, Fame. She was subsequently enrolled in the Jason Theatre School. From a very rich family, Victoria later went to study dance and modeling at Laine Theatre Arts in Surrey. For her educations, Beckham went to St. Mary’s High School. She began her career as a singer when she became a member of the all-female group, the Spice Girls in 1994. However, after the group later broke up in 2010, she went on as a solo musician before the Spice Girls returned in 2007. The group had Mel B, Emma Bunton, Melanie C, and Geri Halliwell as the other members. She remained a member of the group until 2012 when she called it quits. As a model, Victoria Beckham made her debut in 2000 at the London Fashion Week. In the years that followed, she modeled for many brands such as Dolce and Gabbana, Rocawear, VB Rocks, and much more. In 2008, she launched her own fashion label. David and Victoria Beckham first met in 1997 at a charity football match in London. Immediately the then-Manchester United star saw the former Spice Girl, he just knew she was the one for him. Even before meeting her in person, he knew she was the one after spotting her in one of Spice Girls video. He was with Gary Neville when he saw her in the Video and he told him that was the girl he was going to marry. A fortnight after their first meeting at the game, Becks, and Posh met again and this time around, he got her phone number and the next evening they met again. At the time, David was already a big name in football, but Victoria Adams had still not known who he was since she was not football oriented. Still, she liked him because she believed he was a gentleman and family oriented after she saw him with his parents and sisters. In January 1998, there was a press conference announcing the engagement between the couple and then in 1999, they got married at an elaborate event at Luttrellstown Castle with Gary Neville as Beckham’s best man. 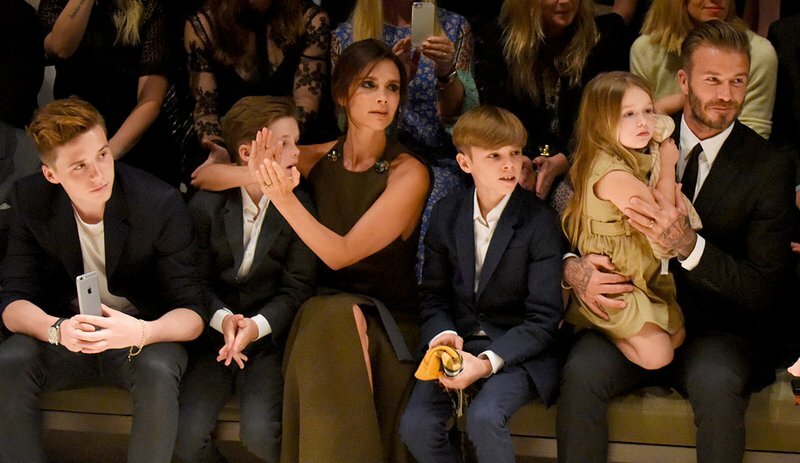 Growing into one of the most famous couples in the world, Victoria and David Beckham have four children. Brooklyn Joseph, their first son, was born in 1999, followed by Romeo James in 2002, Cruz David in 2005, and then their only daughter, Harper Seven who was born in 2011. Both the Beckhams have been appointed Officers of the Order of the British Empire. David was appointed in 2003 while Victoria received it in 2017. With continuous rumors emerging from the English tabloids about an impending split between the couple, they have come out to officially state that their union which is almost 20 years is very healthy. In 2008, the combined net worth of the power couple was placed at over £300 million. There are a good number of actors, not only Lindsay Lohan and Paris Hilton, who have as many antics off-screen as they do on screen. One of such people is Shia Labeouf who since starting his career as a child actor has appeared in many movies and TV shows just as he has been involved in many controversies including criminal trespass, public intoxication, and more which he attributed to experiences he had when he was growing up. On June 11, 1986, the actor was born Shia Saide LaBeouf in Los Angeles, California. His mother, Shayna Saide LaBeouf, is of Polish and Russian descent and a daughter an artist and performer while his father Jeffrey Craig LaBeouf was a soldier who fought in the Vietnam War. His father who is of French descent had had drug addiction problems and various run-ins with the law. The actor had a childhood he described as hippy with both his “weird” parents whom he loves dearly. Nonetheless, owing to financial problems, they later got divorced and he moved on with his mother who struggled financially in Echo Park to raise him as a single mother. At a point in his childhood, his uncle wanted to adopt him because of the financial problems of his parents. His career as an entertainer began in 1996 and he would rise pretty fast, but there would later be many controversies that he would get into. In 2017 Labeouf was sued by a bartender after a verbal altercation that the bartender termed defamation and assault for which he wanted to be paid $5 million in damages. The actor also got arrested for public intoxication and was sent to rehab. As his problems piled, Shia revealed he is suffering from PSTD as a result of an experience in his childhood when he witnessed his mother being sexually assaulted by a man that was never caught. Following in the creative path of his mother who is a visual artist, LaBeouf began performing as a stand-up comedian when he was only 10 in 1996. He began performing and then acting so as to help his family which was completely broke. In 1998, he appeared in two films, The Christmas Path and Monkey Business and two TV shows, Caroline in the City and Breakfast with Einstein. 1999 was a busier year for him on TV as he got to appear in an episode of 4 different shows. He became famous in the early 2000s with an appearance in Even Stevens as Louis Anthony Stevens. He also acted in many films including Holes (2003), I, Robot (2004), The Greatest Game Ever Played (2005), Transformers (2007), Indiana Jones and the Kingdom of the Crystal Skull (2008), Borg vs McEnroe (2017), and The Peanut Butter Falcon (2019). More than just an actor, he is also a film director and writer. He is the writer of the 2019 film Honey Boy which he also appears in as James Lort. In his career thus far, Shia LaBeouf has received a number of awards and many more nominations. He won two Teen Choice Awards, a Florida Film Critics Circle Awards, BAFTA Awards, and an Emmy Awards. When it comes to his family life, Shia LaBeouf has been married once in the past. In 2012 while shooting Nymphomaniac, he met English actress and model, Mia Goth. After dating for some time, the two eloped in 2016 to Las Vegas where they got married in a ceremony that was live streamed and officiated by an Elvis Presley impostor. Although it was later said the marriage was not legal, Shia claimed they were indeed married. In 2018, the couple announced that they were getting divorced on amicable grounds. Mia Goth is the only woman he has attempted to share the rest of his life with, in marriage, but he has dated a good number of women in the past. After the union ended, the actor got into another relationship with British singer FKA Twigs after meeting on the set of Honey Boy in September 2018. The first woman he was publicly known to have dated is singer, songwriter, actress, and model Hilary Duff as far back as 2002. The next year, he was linked to yet another singer and actress Kiely Williams. Actress-turned-psychologist China Brezner was the woman he dated from 2004 to 2007. The Transformers actor was then linked in 2007 to Barbadian singer Rihanna but they did not last more than just one date as the spark was not there. While filming Transformers in 2008, he met actress and model Megan Fox whom he dated for a while. The other women he subsequently dated are Carey Mulligan in 2010, Karolyn Pho from 2010 to 2012, and Kate Mara before he met Mia Goth. Shia Labeouf has a net worth that is estimated at $25 million. This is a great leap from his life as a kid that his family almost went on welfare. He made his wealth mainly from his career as an actor.